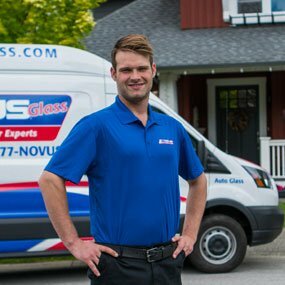 What kind of qualifications do I need to start a NOVUS Auto Glass Repair business? NOVUS is looking for potential business owners who have a vision to grow something of value. 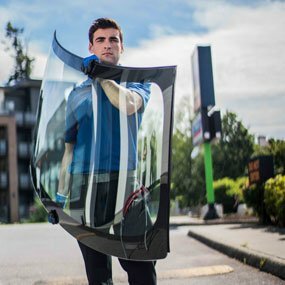 You do not need experience in the auto glass industry, but experience running a business and managing employees is a key factor. The amount of money you will make as a franchisee largely depends on you. How thoroughly can you implement the NOVUS business system? How consistently can you meet the needs of your customers? How diligent will you be in marketing your business to a variety of market segments? 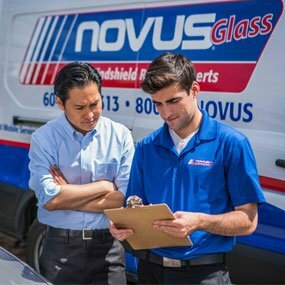 We suggest that you visit with existing NOVUS franchisees to discuss their experience. The fact is that the amount of money you can make will depend on several factors such as operating cost controls, sales volume, location (area of primary responsibility), and your ability to manage the business. These and other factors will affect the profit that a NOVUS franchisee can expect to earn.Our FDD provides financial data by way of averages of existing franchisees. Click here to receive an FDD. NOVUS Franchisees pay 8% monthly of gross sales—5% go to franchise royalties and 3% are spent by NOVUS on advertising. In addition, franchisees are required to spend 4% of their gross sales on their own marketing initiatives each month. 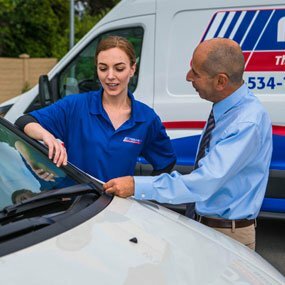 As a franchisee, where do I get equipment and materials for windshield repair and replacement? 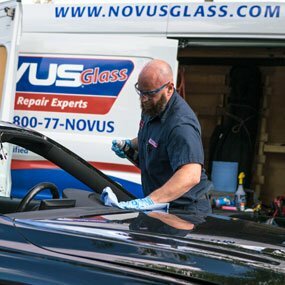 NOVUS Franchisees lease windshield repair equipment and purchase windshield repair resins from NOVUS, Inc. Tools for windshield replacement are available from recommended vendors. 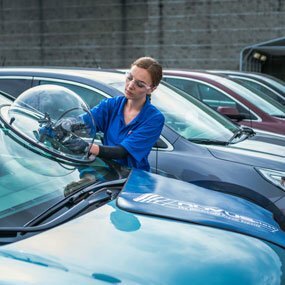 Materials for windshield replacement are available from glass wholesalers with warehouses across the United States. 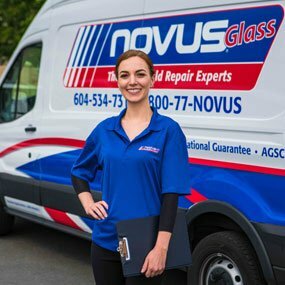 Because of this network of warehouses making replacement glass quickly available, most NOVUS franchisees hold very little inventory of replacement glass. What is an FDD and how do I get one? A Franchise Disclosure Document (FDD) details the NOVUS business system, the relationship between NOVUS and NOVUS franchisees, the current agreements, contact information for current franchisees, and everything else you need to exhaustively research the NOVUS opportunity. How much does a NOVUS® Franchise cost? There are many factors that determine how much money is necessary to start a business. We’ve laid out the typical ranges of these costs here. Make sure you take the time to speak with a NOVUS Franchising Advisor to get a more accurate picture of what your start-up costs might be. I’m eager to get started, how soon can I open my NOVUS business? 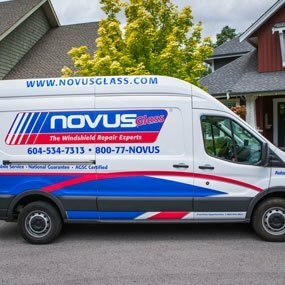 The time it will take you to begin operating your business will depend upon your ability and desire to complete your decision making as to whether or not a NOVUS Glass franchise is for you. The typical length of time may range between several weeks to several months. 10 years with an option to renew. What kind of territory do I receive? 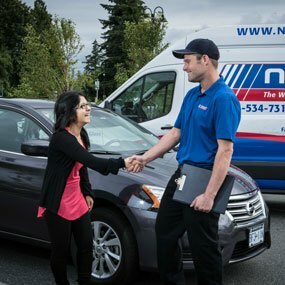 NOVUS franchisees are granted an area of primary responsibility (APR) which typically consists of two or more zip codes. Our current policy is to establish no more than one NOVUS franchise per 250,000 in population. Yes! 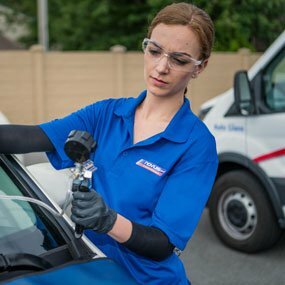 You and one additional partner or manager who is responsible for the day-to-day operation will attend core business management training & windshield repair training at our training facility in St. Paul, MN. This course will last five days. You and one additional partner or manager will also attend replacement training at one of our designated regional training facilities. This training course will last two weeks. The NOVUS regional manager in your area will then spend a week with you, at your location, helping you kick off your new NOVUS business, making sales calls with you, and making sure every system is set up and running as it should. 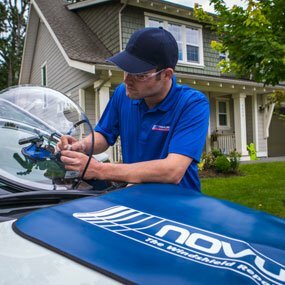 Does NOVUS offer Financing for the Windshield & Auto Repair franchise? Yes! The NOVUS Finance program gives qualified applicants the opportunity to finance some costs through NOVUS. Other franchise candidates may pursue the necessary financing through a local bank or through a preferred SBA lender. 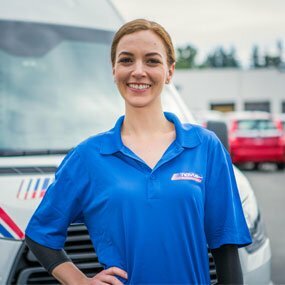 For further explanation of any of these questions or for additional questions not covered in this FAQ, please contact a NOVUS Franchising Advisor at 800-944-6811.